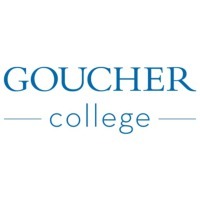 Review: Goucher College is a private, co-educational, liberal arts college located in the northern Baltimore suburb of Towson in unincorporated Baltimore County, Maryland, on a 287 acre (1.2 km 2 ) campus. The school has approximately 1,475 undergraduate students studying in 31 majors and six interdisciplinary programs and about 900 students studying in graduate subjects. It was one of the first colleges to embrace internships and allow its students to take a more individualized approach. Recently, Goucher College has instituted a study-abroad requirement-each undergraduate must complete at least one study-abroad experience. To help students fulfill this requirement, the college offers a wide range of three-week "intensive courses abroad," as well as semester and year-long programs, in concert with vouchers of $1,200 to subsidize the costs. 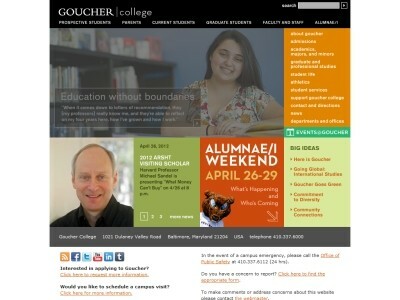 Location & access map for "Goucher College"